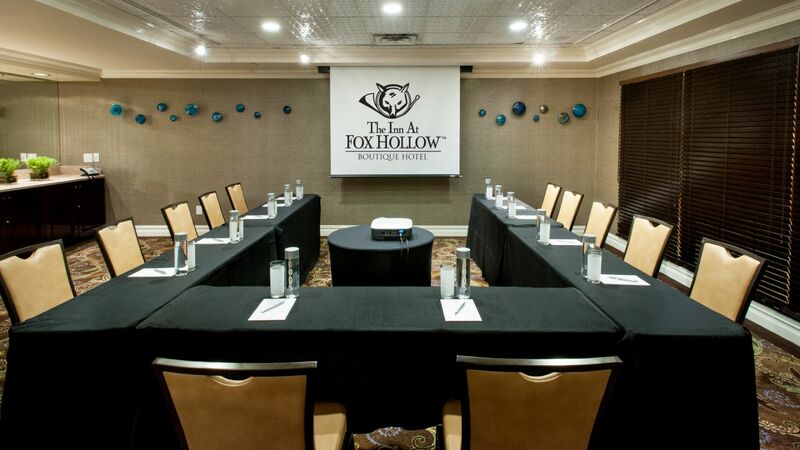 Set on eight breathtaking acres, The Fox Hollow is the most exciting event and conference center on Long Island. 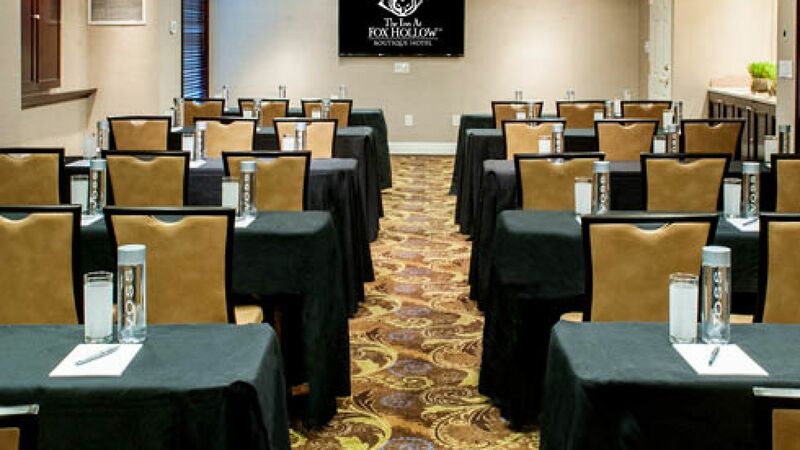 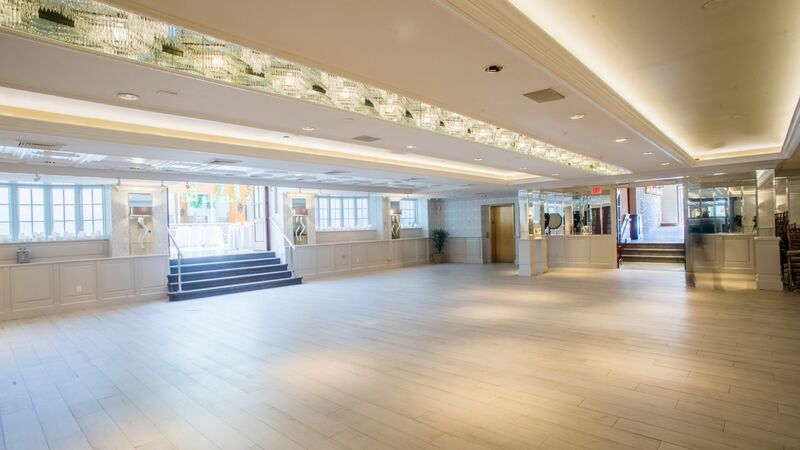 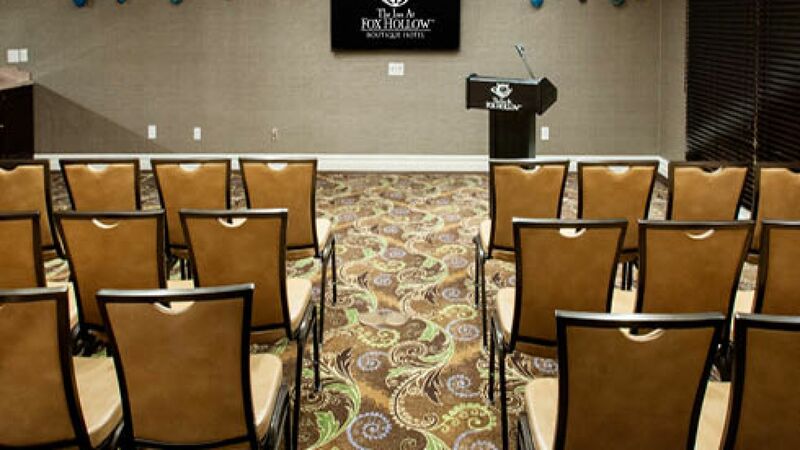 The Fox Hollow features distinguished Long Island event venues that vary in style and capacity for business meetings, conferences, corporate retreats, trade shows, training and sales seminars, networking functions, and special events. 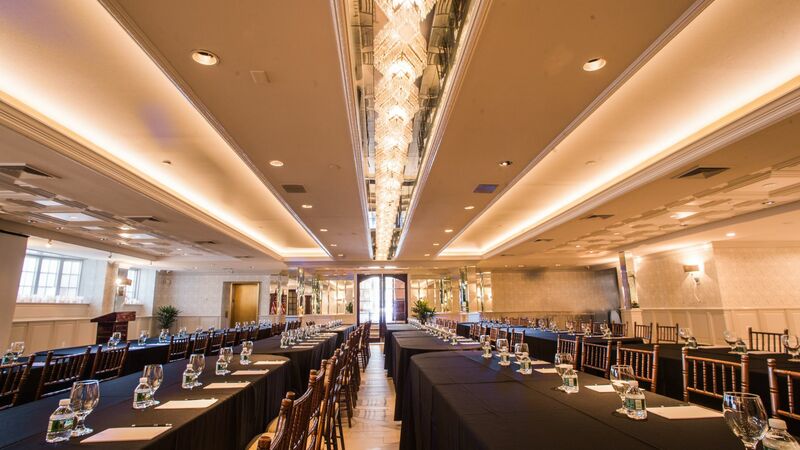 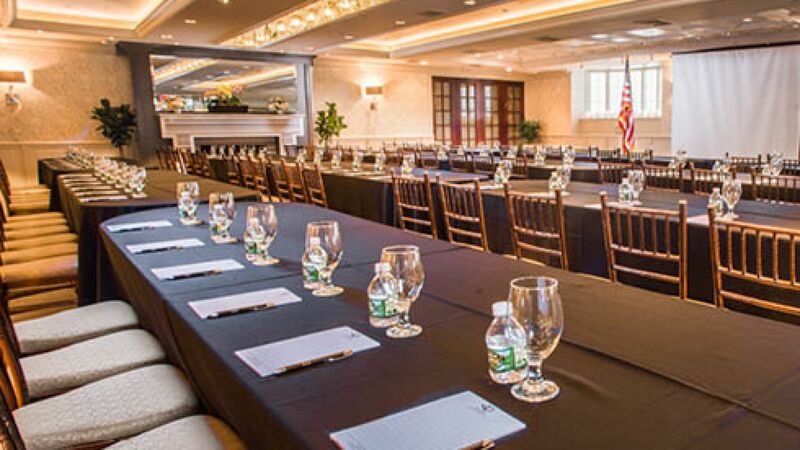 From intimate board meetings to elegant celebrations, our Long Island catering halls are impressive conference and event destinations where you feel inspired and connected. 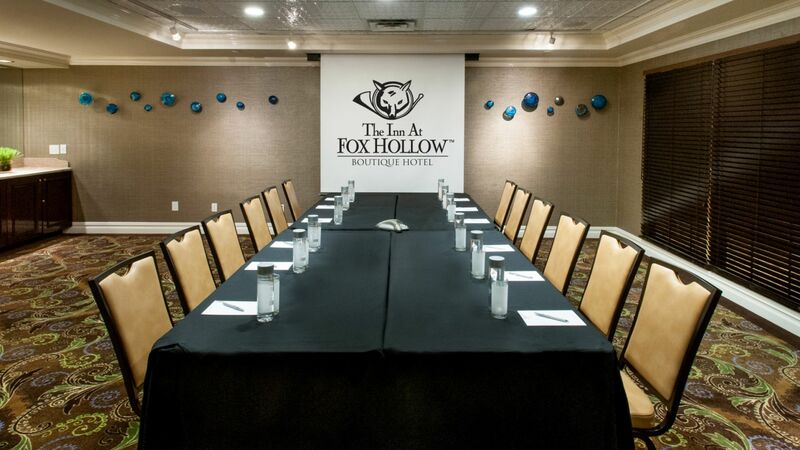 The Fox Hollow landscape is exquisite with outdoor areas for your corporate and social receptions, cocktail parties, team building activities and holiday gatherings. 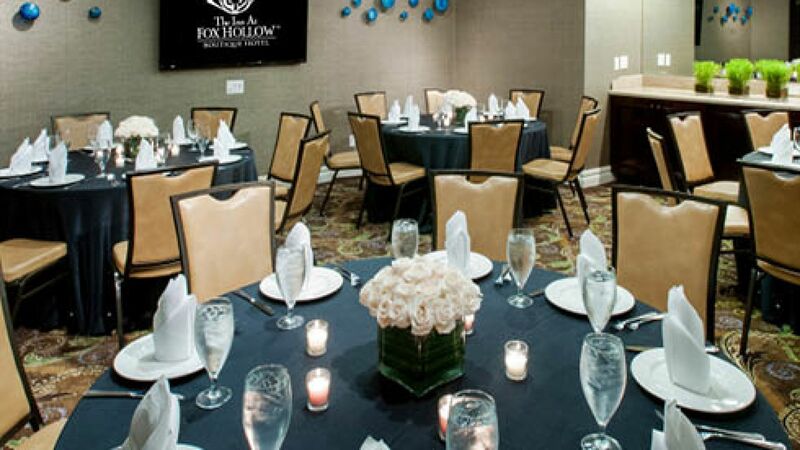 Entertain in our gardens and courtyard surrounded by lush foliage, waterfalls and fountains. 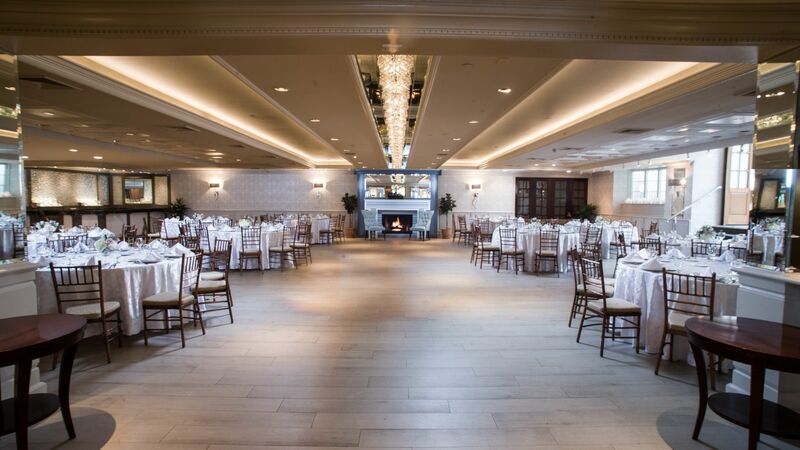 Seasonal plantings assure that our beautiful grounds are gorgeous throughout the year and offers picturesque backdrop for your occasion. 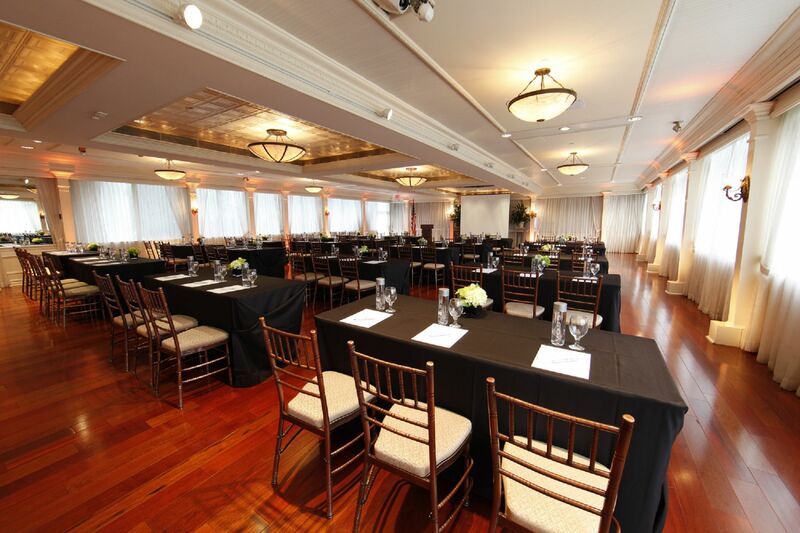 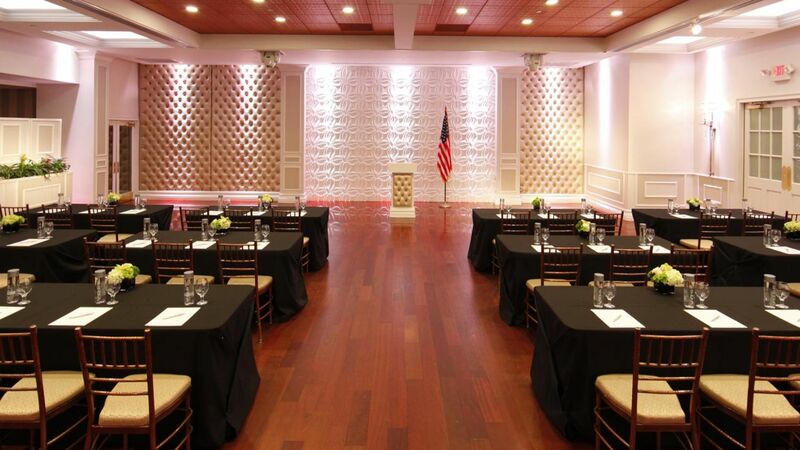 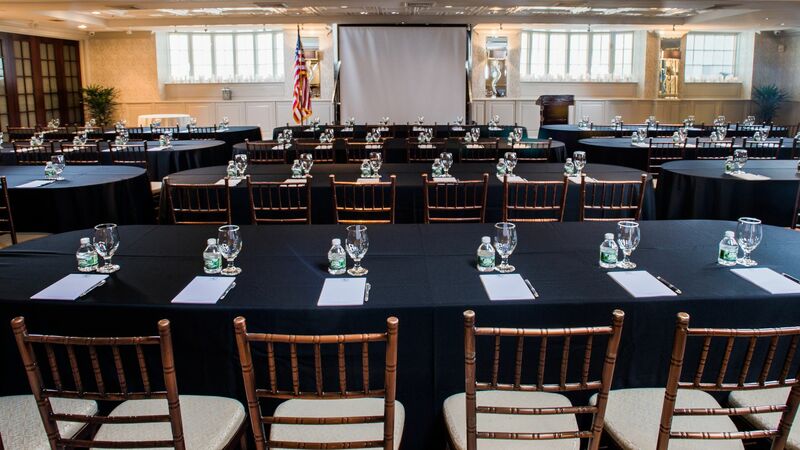 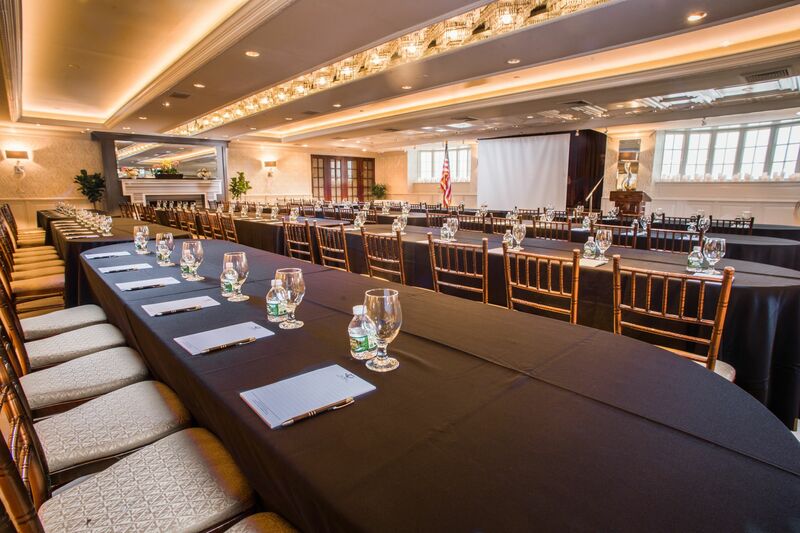 With its classic elegance and versatile layout, the Colonial Briar Fox is a sophisticated venue for business meetings, corporate events, and conferences on Long Island. 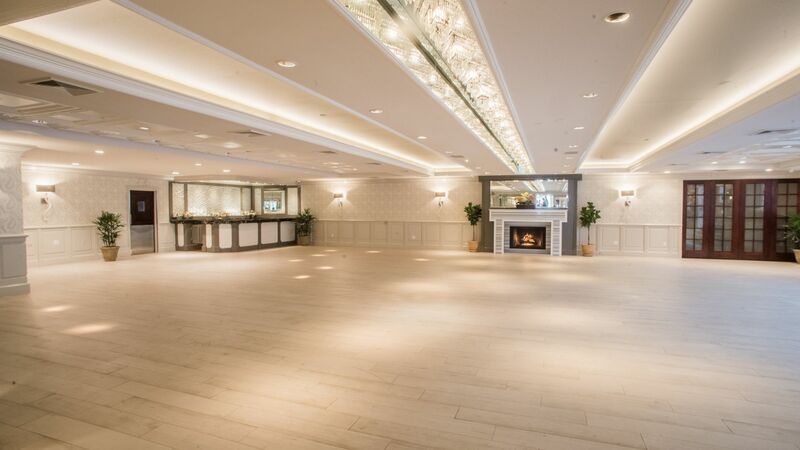 A handsome fireplace centers this elegant gathering space where tables surround a dance floor but may be converted to suit any set-up or theme. 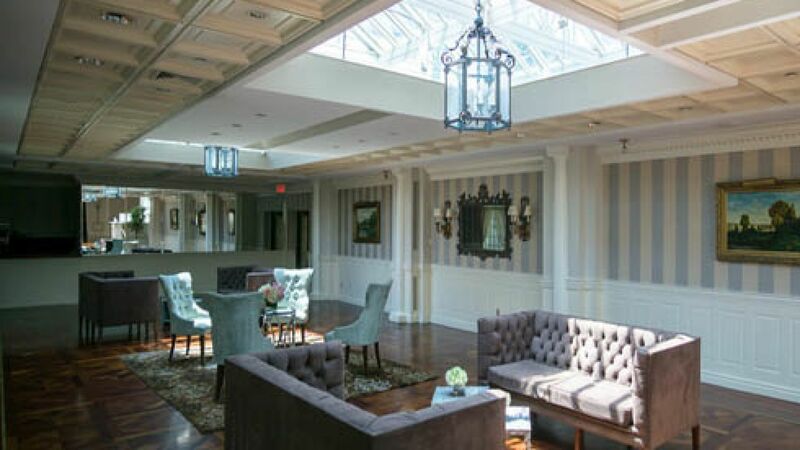 The Lantern Gallery is uniquely appointed for smaller gatherings with a touch of al fresco with the warmth of a classic villa. 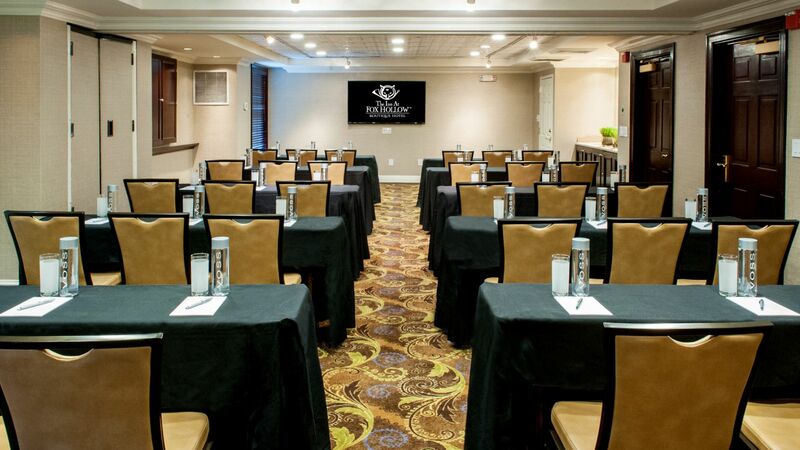 This Long Island conference and meeting room combines privacy with an attitude for business. 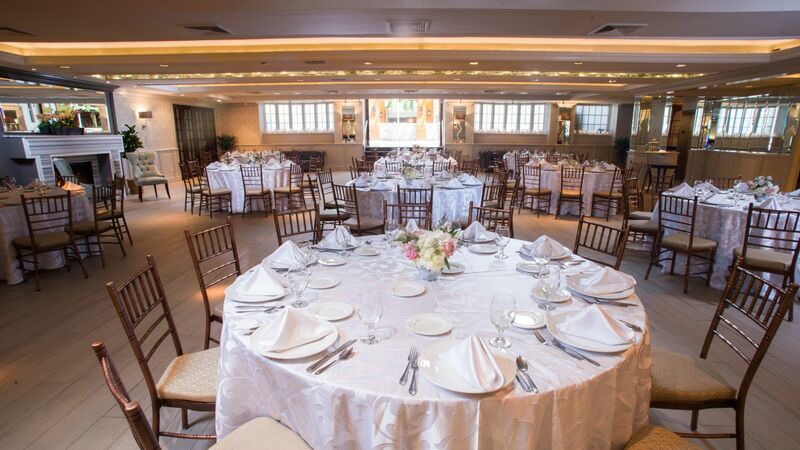 Located on the 2nd floor overlooking the Hearth Room, this lavish room is the perfect setting for a reception, dinner, or business lunch up to 65 people. 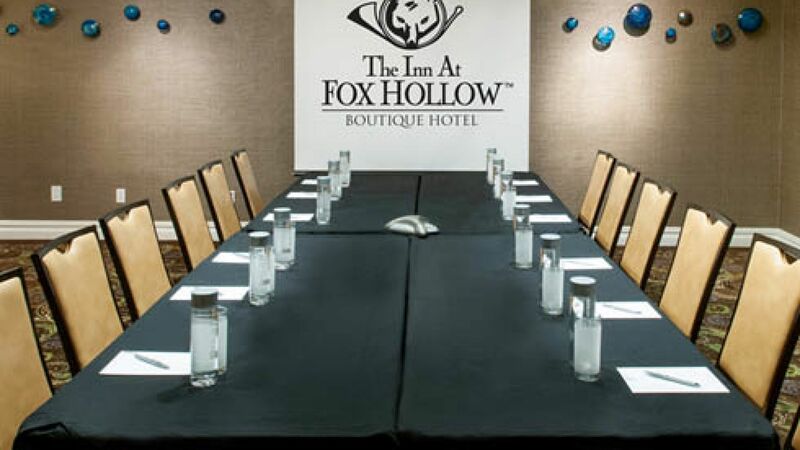 The room can be divided into the Fox and Hunt Rooms for smaller gatherings. 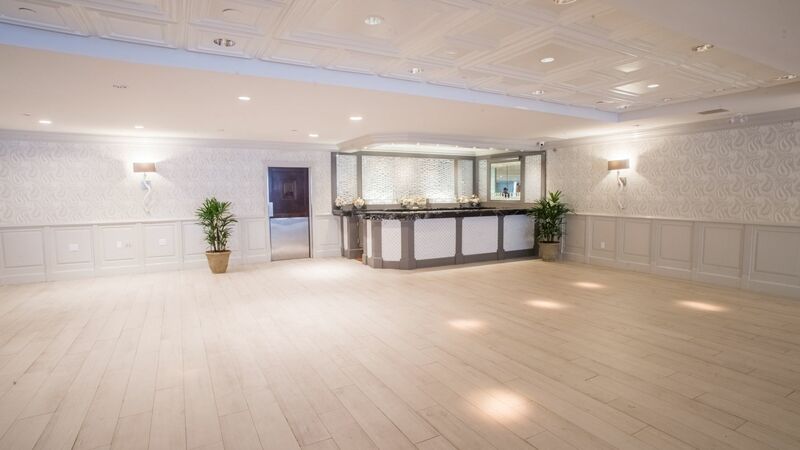 The lobby creates a comfortable setting for a cocktail reception. 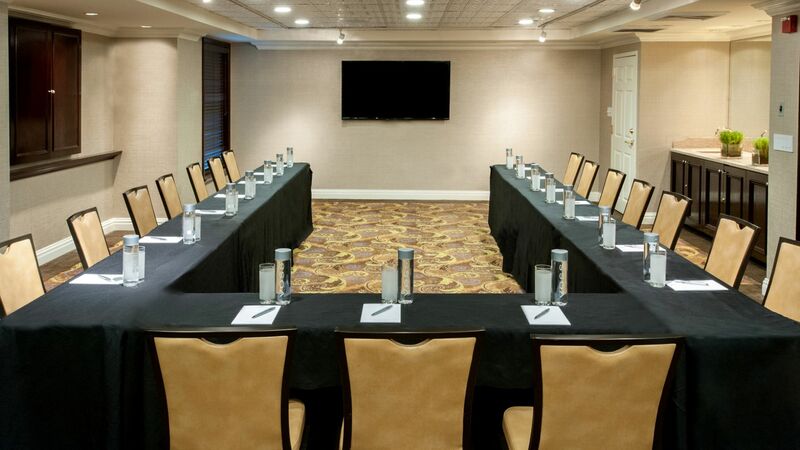 It is equipped with audiovisual & telecommunication capabilities, including 2 built-in projector screens, whiteboards & multiple phone lines. 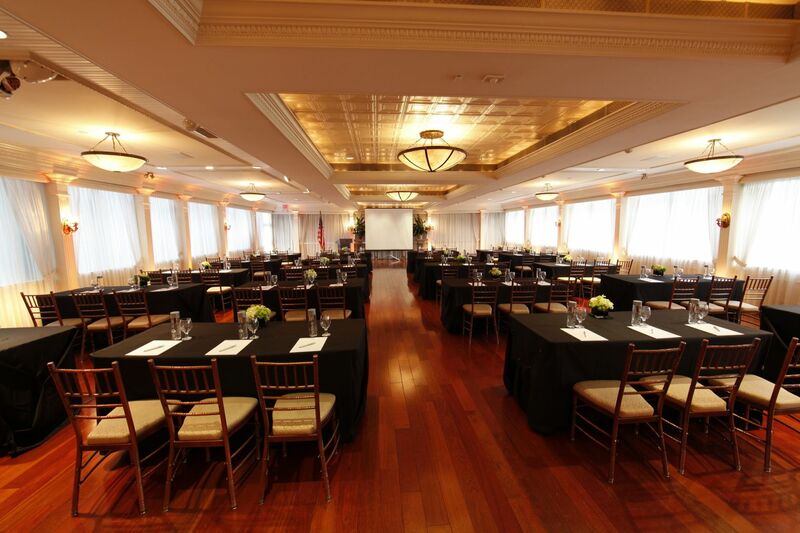 The Devon Room is ideal for social and corporate events, including conferences, seminars and meetings. 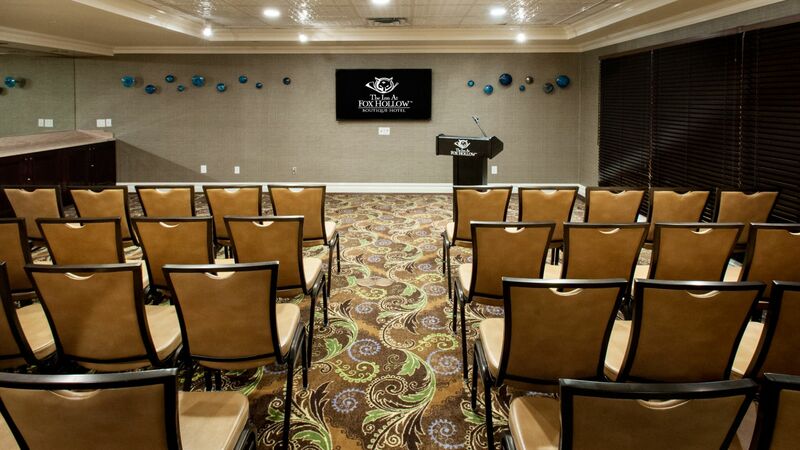 The multi-functional room can be configured to many group settings and is equipped with a built-in audiovisual screen and high-speed internet access. 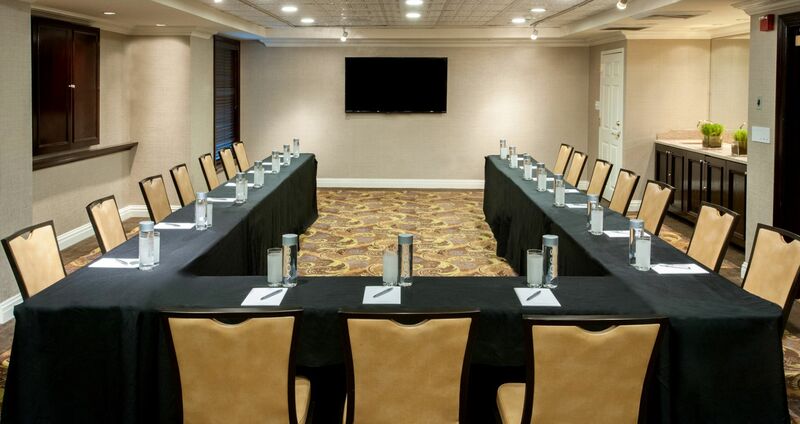 This elegant boardroom can accommodate up to 30 people in a variety of layouts. 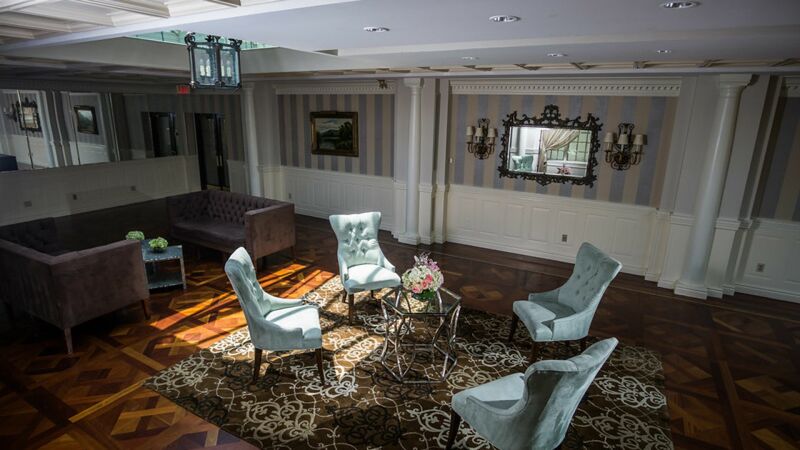 The stylish décor features elaborate European paintings, mirrors, credenzas, built-in audiovisual screen and high-speed internet. 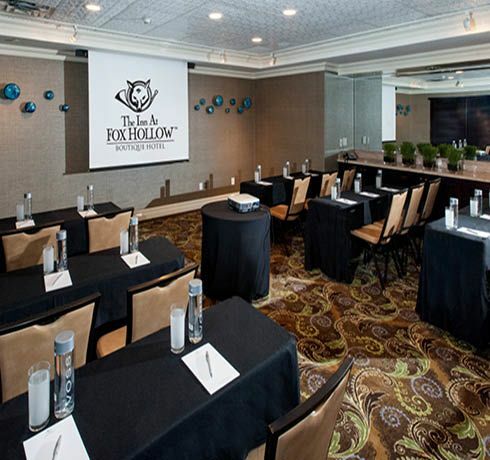 Perfect for smaller gatherings, the Fox Room is located on the second floor of the hotel overlooking the Hearth Room. 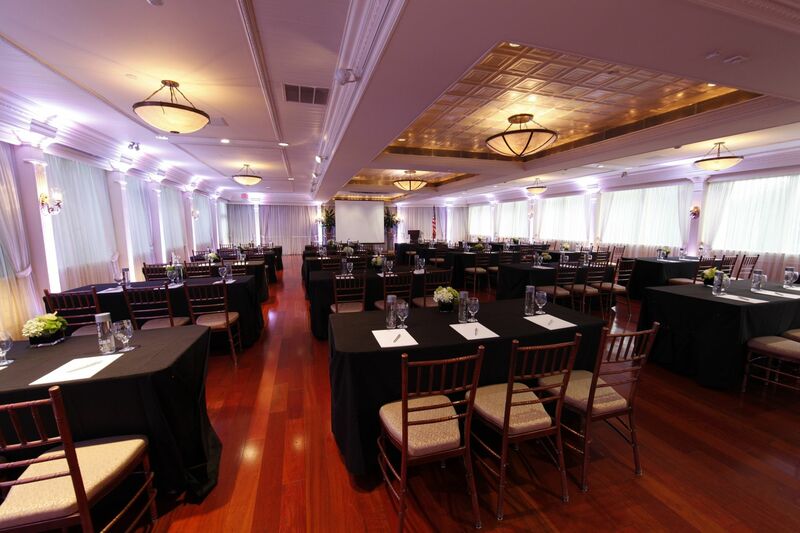 Able to accommodate up to 30 guests, this room is great for hosting both corporate and social events. 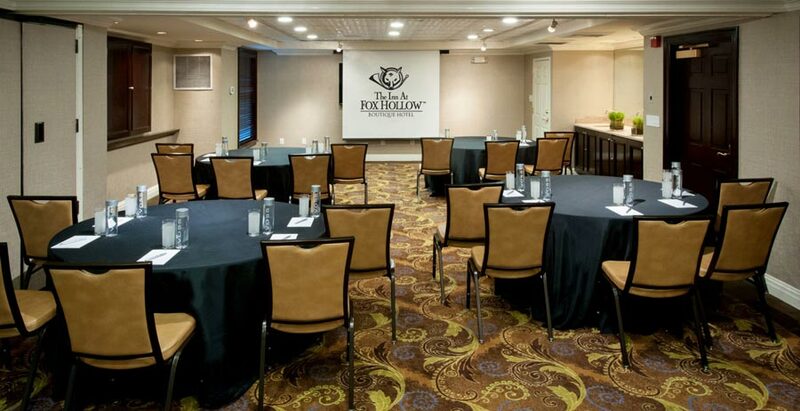 With 423 square feet able to accommodate up to 30 guests, the Hunt Room is a great venue for hosting both small business and social gatherings. 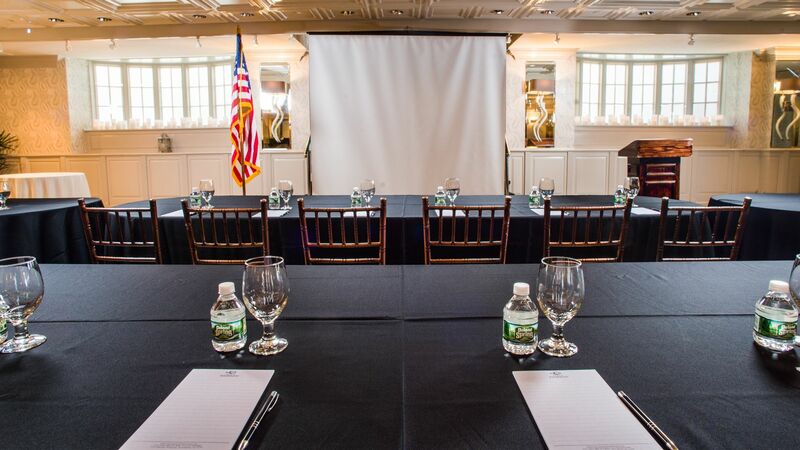 The Hunt Room is equipped with A/V capabilities to help make your event as effortless as possible. 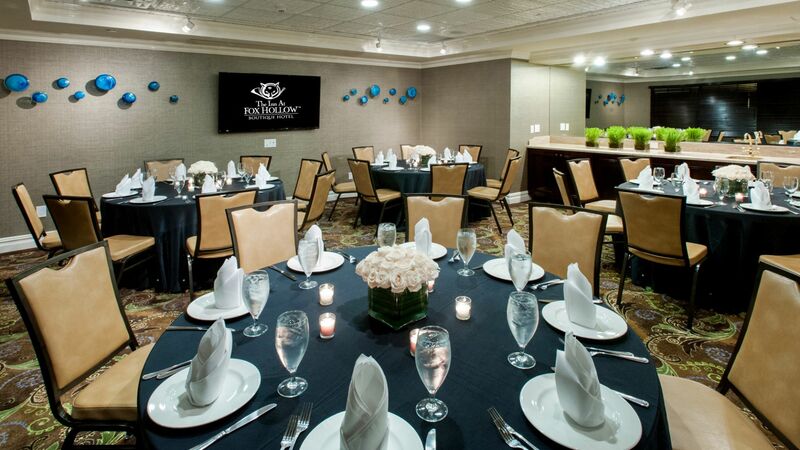 Our most spacious event room is ideal for your reception. 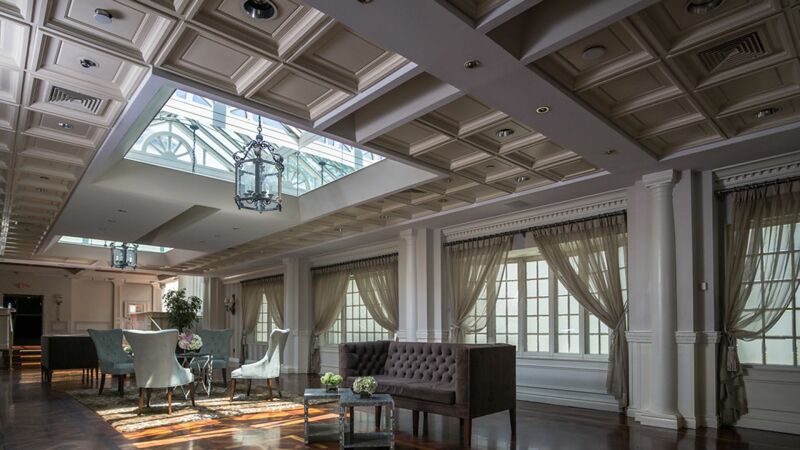 Surrounded by and overlooking the picturesque gardens, the Garden Terrace features alabaster chandeliers, floor-to-ceiling windows, a garden balcony and direct garden access. 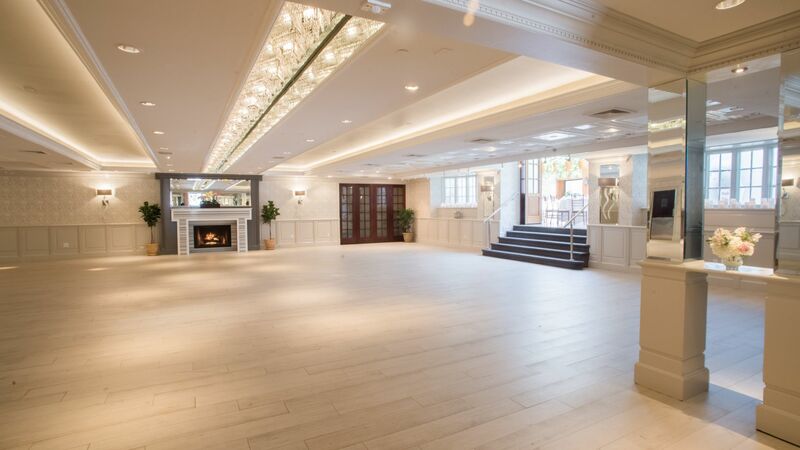 This beautiful venue also features two bars, an indoor/outdoor cocktail room , an outdoor chapel, private photo areas, and a connecting bridal suite with private gardens. 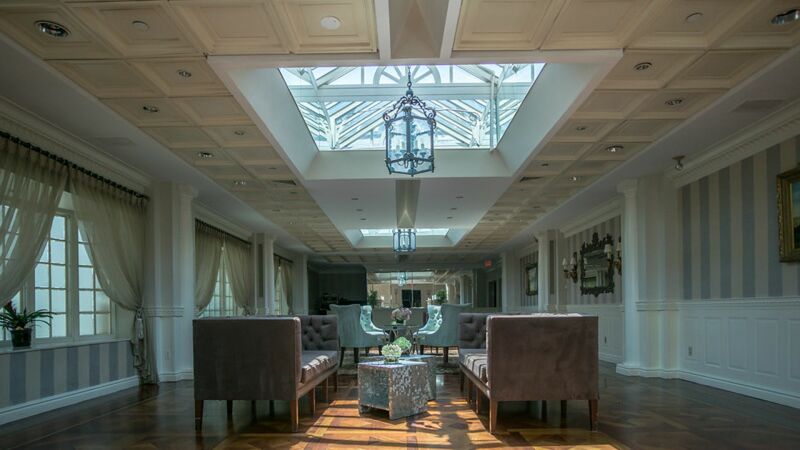 By day, sunlight pours in through a ceiling of skylights. 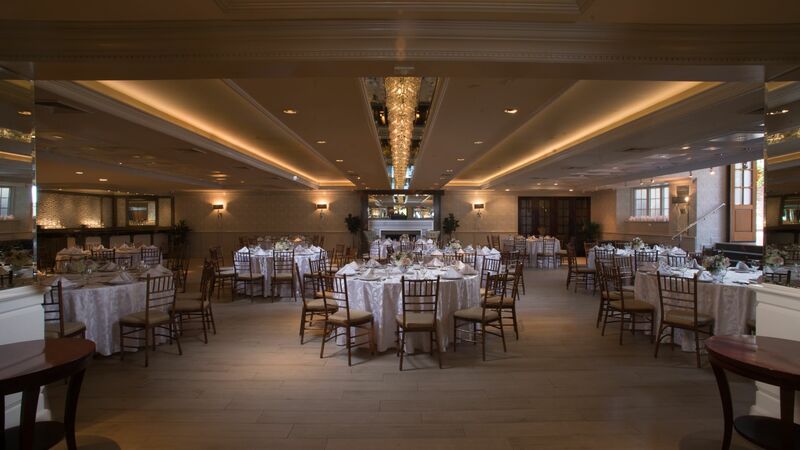 By night, the Winter Garden Pavilion is illuminated by the stars, elegant chandeliers, and candlelight. 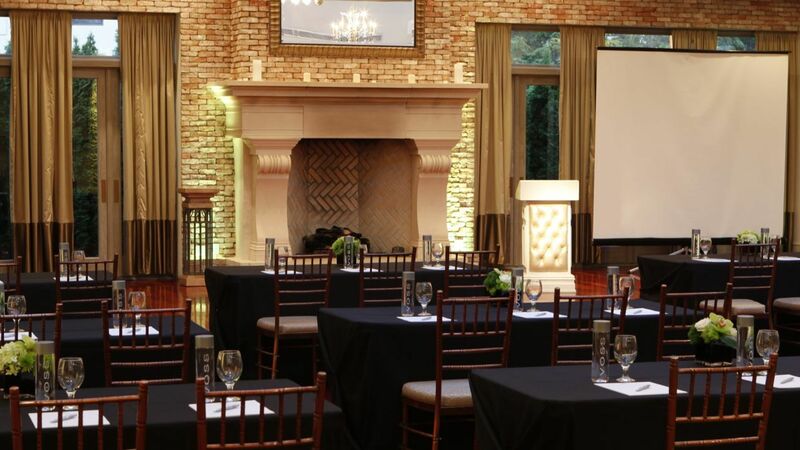 A cascading waterfall creates a unique ambiance. 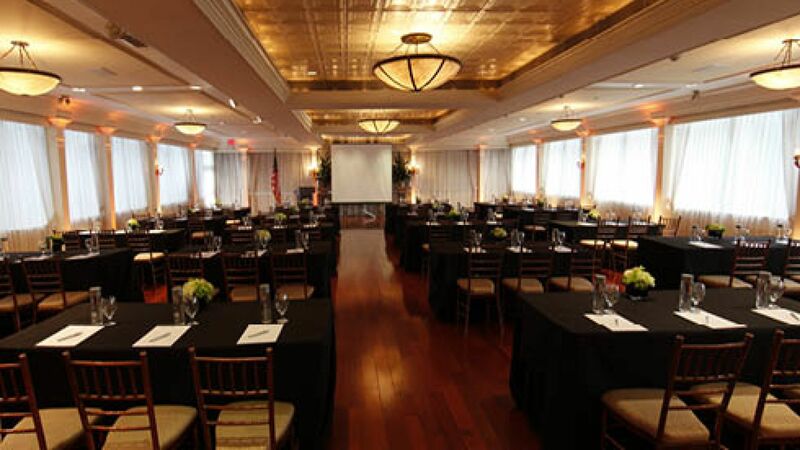 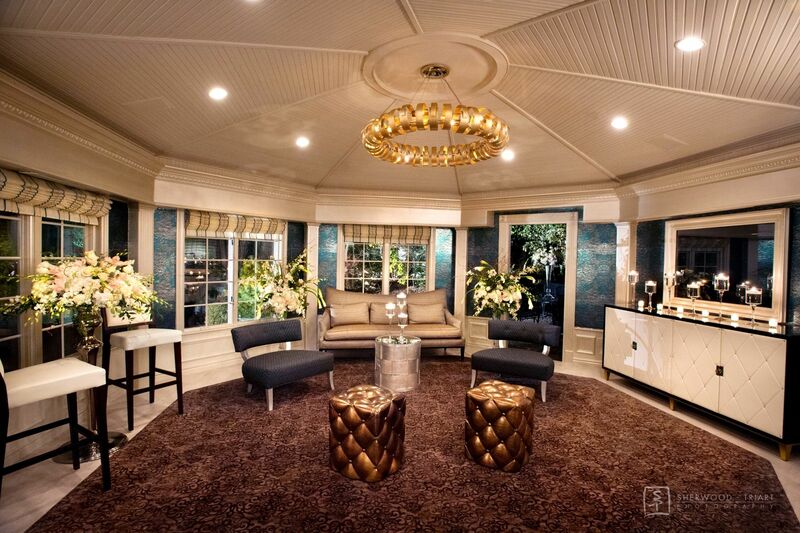 The room is also equipped with a custom mahogany bar, fireplace, and wood dance floor.